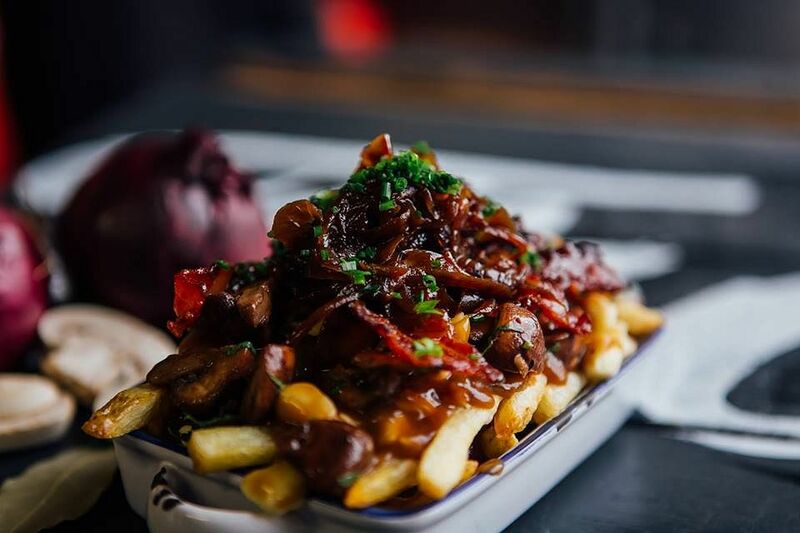 Find The Gravy Train Poutine at this weekend's A Taste of Independent Sheffield (21-23 September). Need something to fill your evenings in the city centre? We’ve rounded up just five of the things we reckon you’re gonna love. The weekend may seem far away, but get cracking in #SheffAfter5 and it’ll be Friday night before you can say Henderson’s Relish. Back for the new term, host MC Jack Hammer brings you The Bungalows Quiz every Monday from tonight! Expect trivia left right and centre, and play to win prizes (ooo!). Entry is £1, so why not give it a go? £2 pizza. £2 drinks. Surely this needs no more explanation? All you need is your valid NUS card to start your evening off eating well in the city centre. Check the Facebook event for more details, and fill up with good food this Tuesday (and every other Tuesday, for that matter). See some of the finest West African session musicians play live in Sheffield this week. With legendary band leader and bassist Edd Bateman hosting rhythmic influences from Senegal, Guinea Conakry, Mali, Cameroon and Congo, hear Lingala singer and soukous aristocrat ‘King Fire’, blues rock and astropheric soundscaping guitarist, as well as vocalist ‘Julian Burdock’, Guinean Master Griot kora player ‘Mosi Conde’ and Senegalese rhythm machine 'Badou N'diaye' at Hallam Students’ Union. Tickets available here. True North Brew Co.’s debut food, drinks and craft market opens up shop on the Peace Gardens and Fargate this weekend, with stalls from the city’s finest independent retailers of food, drinks and all things nice. Not forgetting the gin and rum festival on throughout the weekend too, be sure to head down to see what fantastic food and drink you could be enjoying/Instagramming. Find out loads more about what to expect across the weekend here. As part of this year’s Festival of the Mind season, Sheffield Students’ Union will be hosting another Jam Jar night this Friday. Come on down for an evening of swing, jazz, rhythm and blues, Motown, soul & vintage music, all set within the mesmerizing interior of the Spiegeltent. On the night, you’ll find: resident DJ Walker, free dance class with The Big Swing Sheffield and bespoke Prohibition-era decor and more. Tickets are £3 in advance, and £5 on the door.